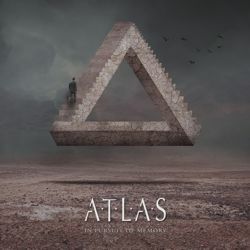 AOR HEAVEN sign UK Melodic Rock hopefuls ATLAS; new best of release from NEWMAN coming on September 28! In 1997 Singer, songwriter Steve Newman formed the band Newman and since 1998 have been producing consistently high quality albums filled with hook laden songs and thought provoking lyrics. Today, the band consists of Steve Newman (Vocals, Guitar), Pete Newdeck on Drums, Shaun Bessant (Guitar, Vocals), Paul Boyle (Keyboards, Vocals), Dave Bartlett (Bass, Vocals). Disc 1 features 17 songs from the 2007 album “Primitive Soul” through “The Art Of Balance”, “Under Southern Skies”, “Siren”, and finally the 2015 album “The Elegance Machine”. Disc 2 features another 17 songs, some that were written and even recorded, but not included on the final releases, songs that were written for other artists and 2 songs that were originally released as Japanese bonus tracks. There are some songs, as before, that were “works in progress” especially recorded for this release and also another 6 songs from the “Aerial” sessions. In 1997 Singer, songwriter Steve Newman formed the band Newman and since 1998 has been producing consistently high quality albums filled with hook laden songs and thought provoking lyrics and released 10 studio albums and one best of compilation up to today. The previous release, "The Elegance Machine", was released in 2015 and the band returned to the road with shows in Europe and their first UK headline tour. Steve Newman continued to write throughout 2016, songs, of which some have featured on various artists releases, and some which are still to come. It was within this writing process that Newman started to piece together the ideas which would become his latest release, and 11th studio album. "Aerial" now features 12 tracks that return to the huge chorus's, maintaining the high quality production values that have been prevalent over the last albums. But this record, above all, is all about the songs, you could say it's an unashamed AOR/Melodic Rock record and follows that rule across all 12 songs to give the listener a very consistent album. Once again Steve Newman has teamed up with Rob McEwen (drummer for the last nine Newman albums), the album also features long time friend Mark Thompson-Smith lending his vocals to "Fear Of Flying" and " Two Sides". Finally the mastering was taken care of by none other than Harry Hess (Harem Scarem) at H Bomb Mastering. The self-titled MARTINA EDOFF album was released in 2014, and nearly a year later, the second record called “Unity” took her and her band on a successful North American tour in September 2015. She soon went to Argentina and performed for 6000 new fans as an opening act for Tarja Turunen. The tour went on to share the stage with The Winery Dogs on their European tour in early 2016. The UK audience welcomed her the same year for a mini tour and she later returned to the Rockingham Festival to perform. Now she's back with the third record “We Will Align” which will be released on AOR Heaven on September 22. Amongst the already acquired fans is the respected English rock journalist Dave Ling, who discovered MARTINA EDOFF’s eponymous titled solo debut, celebrated her with a full page article in Classic Rock AOR Magazine and put her album on his playlist, describing it as ”Stirring, confident melodies from an unashamed Swedish rock chick!” The great reviews kept on coming in from all over the world. Together with her former co-producer and co-writer Jona Tee (H.E.A.T), Martina decided to work with him on the third album. In late 2016 the artist started to write on some new songs and found more co-writers who completed the music in the way she was looking for, such as Jonas Törnqvist (Deathriders, Bleed The Hunger, TreasureLland), Erik Mårtensson (Eclipse, Nordic Union, W.E.T), Benny Jansson (Ride The Sky), Billy Sheehan (Mr Big, The Winery Dogs), Jona Tee (H.E.A.T). “We Will Align” is a melodic hard rock album with a bluesy note along with powerful pieces and it goes back to the roots where EDOFF has got her influences. The strong melodies are always there such as her powerful voice. The musicians are the best to find and they are by her side in the studio as well on stage, i.e. Björn Höglund (drums), Nalle Påhlsson (bass), Stefan Bergström (guitar) and Jona Tee (keyboard/ hammond and production). The mixing went through the hands of the legendary Tobias Lindell. Tickets for all shows will be available in advance from the venues and ticket links within the below events. Another of the hard working regulars of this scene is one Steve Newman. And he’s consistently delivered quality music year after year and is at it once again on The Elegance Machine. Picking up where they left off with Siren, this album holds the same musical outlook that The Art Of Balance and Under Southern Skies both did. So you know what you are going to get – a collection of punchy, guitar and keyboard driven melodic rock songs, with Steve’s distinctive voice and his layered harmony style choruses. And as usual the album mixes uptempo harder tunes like The Suit, Illuminate and Confess alongside commercial melodic rock such as The Elegance Machine, Pretender Surrender and Send Us Salvation. Moody tracks such as Halo and She Walks In Silence are balanced between the appearance of two cracking AOR numbers Don’t Stay Lonely and One Good Reason. What I’m really enjoying on this album is the warmth of Steve’s voice on a few of the tracks (The Elegance Machine and Prayer For Apollo in particular). Speaking of which, Prayer For Apollo is brilliant – this is a quirky track with a haunting intro and a brilliant anthemic chorus. A definite instant highlight. Another winning slice of British classic melodic rock and AOR from one of the genre’s most reliable writers. If you own one, you must own them all. Now go get this latest opus. In 1997 Singer, songwriter Steve Newman formed the band Newman and since 1998 have been producing consistently high quality albums filled with hook laden songs and thought provoking lyrics. The now, hard to find self-titled album was followed up in 1999 by the awesome "One Step Closer" album. Continuing the high standard came "Dance In The Fire" and then "Sign Of The Modern Times" in 2000, and 2003 respectfully. Fans and critics alike began to realize they were dealing with an artist that would evolve and mature with them. The year 2006 saw the release of "Heaven Knows", and once again proved beyond all doubt that Newman were becoming one of the top purveyors of Melodic Rock in the UK. Later in 2006 Steve Newman broke away from his former label to form "Chrome Dome", an independent label set up for the purpose of continuing to release the Newman product. Any doubts about the quality or consistency were cast aside when in 2007 "Primitive Soul" was released to great acclaim. This was followed in 2008 by "Decade" a double album celebrating 10 years of Newman. However, not wanting to take the usual route of a "hits" album this was packaged with a second CD containing another 14 unreleased songs which ended up being so well received it was reviewed as a new studio album. "Decade" may have been a great way for a band to sign off and call it a day, however, not only was this not even considered, the focus went into producing the next stage of the bands career. In 2010 "The Art Of Balance" was released to huge acclaim from critics and fans. The band followed this up with a string of successful live dates including Cambridge Rock Festival, Firefest Festival, and a UK Tour supporting John Waite. All this was achieved in the face of huge emotional strain after Steve suffered losing both his parents that year. In fact, as the writing progressed onto the following recording "Under Southern Skies" this AOR Heaven release ended up being a very personal and reflective album for Steve. All this time , the live band, with the addition of Pete Newdeck on Drums, joining Steve (Vocals, Guitar), Shaun Bessant (Guitar, Vocals), Paul Boyle (Keyboards, Vocals), Dave Bartlett (Bass, Vocals) were gaining momentum, culiminating in shows in Greece, Spain, Germany, and the US. 2014 saw the re-recording and release of the acclaimed first album as a Limited Edition, This coincided with a successful UK tour with Vega. Now, the legacy continues with the brand new release "The Elegance Machine", the culmination of songs written over the past two years and an album that once again encompasses what Newman stand for. The powerful guitars are present, as is the strong songwriting and huge melodies. But this time it also brings in modern influences such as on the title track "The Elegance Machine" and "Halo" giving the recognizable and reliable Newman sound a more contemporary edge. A natural follow up to "Siren" the album delivers a harder edge than its predecessor, but without losing the emphasis on strong hooks. Steve has always been known for his thought-provoking lyrics, and "The Elegance Machine" is no exception with subject matter ranging from corporate business greed (The Suit), through domestic violence (She Walks In Silence), and even onto the space themed (Prayer For Apollo). 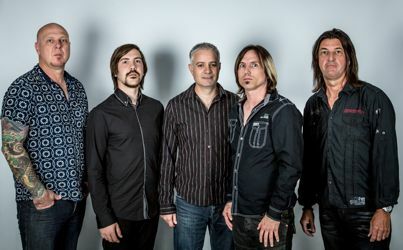 Once again Steve has teamed up with Rob McEwen (drummer for the last 8 Newman albums), and has also brought in the talents of Geoff Wootton backing vocals on "The Suit", "One Good Reason" "Halo", and Mark Thompson-Smith (Praying Mantis, Big Life) backing vocals on "Illuminate", "Send Us Salvation" and "Pretender Surrender". Produced By Steve Newman; All songs written by Steve Newman except: "Halo" written by Steve Newman and Paul Boyle. Geoff Wootton : Backing Vocals on “The Suit (Skyscraper)”, "One Good Reason" and "Halo"
Mark Thompson-Smith : Backing Vocals on "Illuminate", "Send Us Salvation" and "Pretender Surrender"
UK rockers NEWMAN are set to release the follow up to 2013's acclaimed "Siren" album. The new album entitled "The Elegance Machine" continues in the same vein as its predecessor, combining powerful hard edged rock with massive hooks. Songs set for inclusion are : "The Suit (Skyscraper)", "The Elegance Machine", "Don't Stay Lonely", "Illuminate", "Confess", "Halo", "One Good Reason", "Prayer For Apollo", "Send Us Salvation", "Pretender Surrender", "She Walks In Silence" and "Scars". They will also be playing the "Just Say Yes" festival in January 2016 with more dates to follow. accompany the release of Newman ST 2014 on 22 October. Since the first album was released in 1997, Newman have established themselves as one of the leading UK melodic rock artists over the last 17 years. Signing to Escape Music in 1998, they subsequently released albums "One Step Closer", "Dance In The Fire", "Sign of The Modern Times" and "Heaven Knows" to great acclaim. Moving from Escape Music in 2007 Steve Newman created his own label Chrome Dome and produced another 3 albums, "Primitive Soul", "Decade", and in 2010, the well-received "The Art Of Balance". 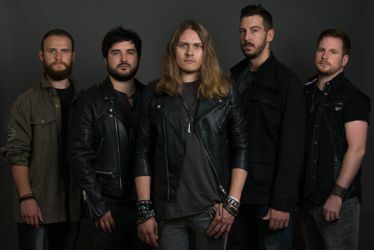 After successfully rejuvenating the live band and playing shows in the UK including Cambridge Rock and the Firefest Festival, the album "Under Southern Skies" was released through AOR Heaven in 2011. Further live dates ensued both in the UK, Europe, and the US. In 2013 "Siren" was released to a great response, many stating this as one of the best Newman albums to date. So, here we are today, 2014, and the completion of an idea that has been driven by you, the fans, because of all your support and belief in Newman over the years. The re-recording of the first Newman album offers the chance, not only to complete that collection, but to listen to these songs re-recorded, mastered with new technology, and added bonus tracks that were written at the time of the original sessions. "I've been extremely lucky to have had the chance to release so many albums over the years, and work with some great artists, little did I know it would come to this when I was recording the first album. I actually said to myself at the time, if this is the only album I record then I will be proud of my achievement. So I can look back now, 11 albums later, and be truly humbled by all the fans I have around the world that support and believe in my music. Over the years I have had so many requests to re-release or re-record the first album, so finally, here it is !!."